Chiropractic care has helped millions of people around the world live pain free and greatly improve their health naturally, without the use of drugs or surgery. Chiropractors work with the spine to ensure the proper functioning of the central nervous system, the system that controls and coordinates all cells, tissues, organs and body functions. This type of ancient, natural and drugless healing practice began to disappear the first moment humans implemented the use of drugs and surgery, until the practice of Chiropractic was discovered (newly) in 1895 by Dr. D.D. Palmer, a natural healer from Davenport, Iowa. As the story goes, Harvey Lillard, who was a janitor in the building in which Dr. Palmer had his office, had been deaf for 17 years. 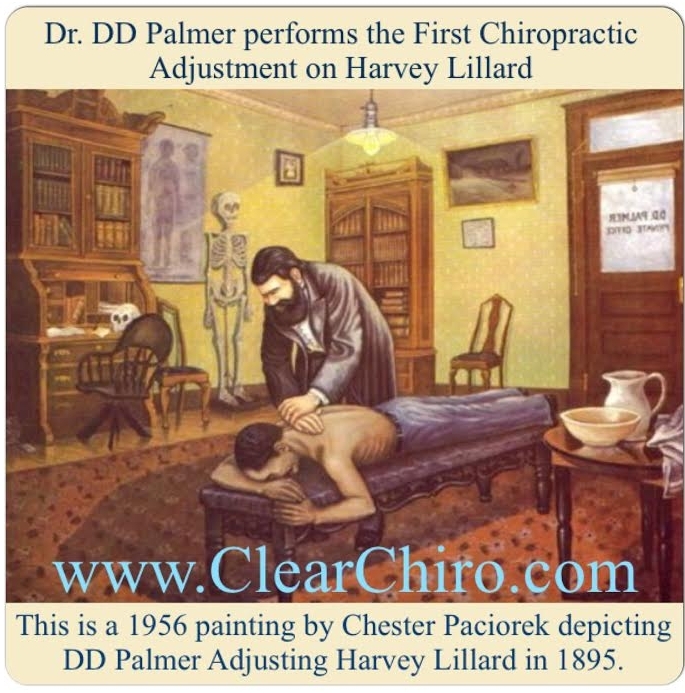 Upon inquiry as to what caused his deafness, Mr. Lillard told Dr. Palmer that while he was working in a stooped over position, he felt something “give” in his back and he immediately lost his hearing. Upon examination Dr. Palmer discovered that there was a vertebra (one of the bones in the spine) out of its normal position. He reasoned that if the proper position of the vertebra was restored then Mr. Lillard’s hearing would be restored as well. After some convincing, the janitor allowed Dr. Palmer to replace the bone to its normal position. Soon after performing a very specific “adjustment,” to replace the vertebra to its normal position, the man’s hearing was restored. 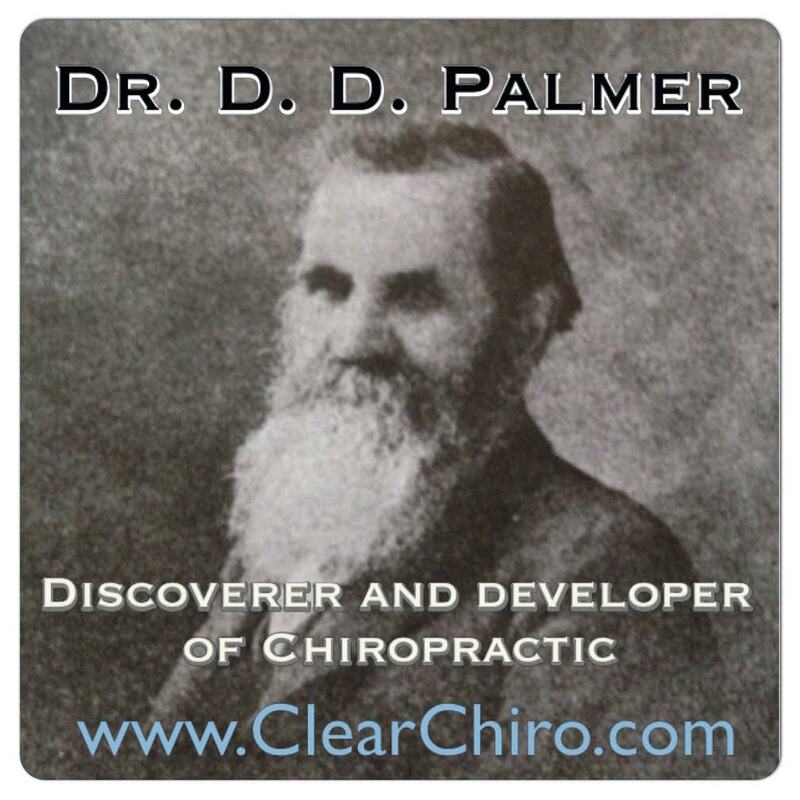 Excited at this discovery, Dr. Palmer began to examine his patients for spinal misalignments, which are now referred to as vertebral subluxations, and he found that this was actually very common. Patients with heart conditions, vision problems, digestive disorders, hormonal disorders, migraines, sciatica and other health problems went to see Dr. Palmer, their conditions improved and word spread. People from far and wide traveled to see Dr. Palmer. Even though Chiropractic is the modern version of a healing art that is thousands of years old, it is still misunderstood by many people who could potentially benefit from its care. If you are new to chiropractic, keep following the articles on this site and continue to learn more about this natural healing art, so you or someone you love may have the opportunity to enjoy better health. If you have already chosen chiropractic care as part of your health care routine, keep it up and help spread the word far and wide that there is magic in a healthy spine! Our chiropractors in Redmond, Kirkland and Spokane, WA use precision diagnostic tools and are specialists in determining if spinal misalignments may be contributing to your problem. They have helped countless people naturally relieve symptoms, improve their health and improve their quality of life. Click here to contact one of our offices and schedule your first visit to see how chiropractic care can help you or someone you love.